Statistics show that homes in top condition and priced properly go Under Contract in under 30days near their Original List Price. This occurs at all price points and our goal for you is to getyou into that group. 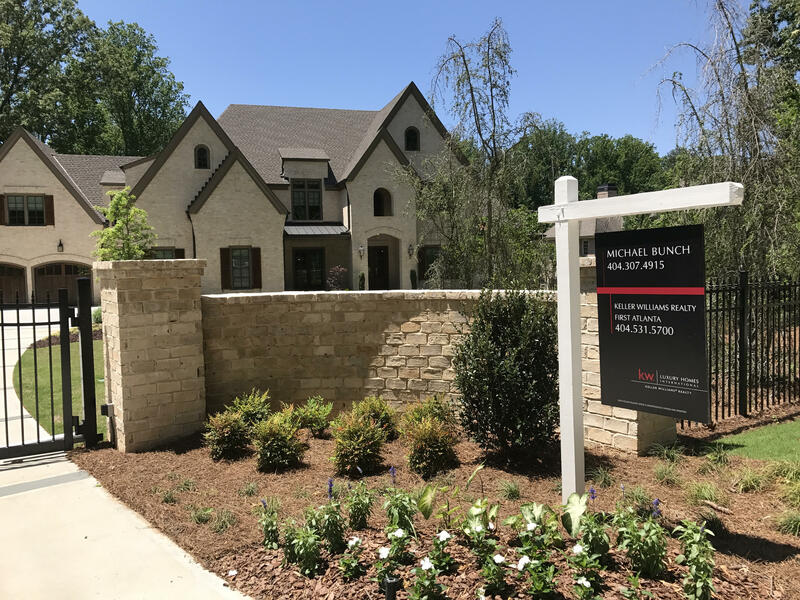 The research also tells us that if an offer is not received within two weeksOR ten showings, the buyer pool has rejected the Original List Price. Our listing strategy isdesigned to answer the questions as to what it will take to attract an offer on your propertywithin 90 days. We are considering another company besides Keller Williams Realty. Is therereally any difference? Our office has been ranked by the Atlanta Business Chronicle as the highest sales volumesingle office in the Atlanta marketplace for several years running. We believe the adage that“Success breeds Success” and our ever increasing market share bears that out. Even so, not all Keller Williams Realty agents are equally effective. We are highly competitiveon behalf of our clients which means we are striving to be the best of the best. After reviewingour marketing plan, I am sure you will feel confident that we can sell your home for top dollar. A real estate company’s “presence” or image definitely factors into the perception by the consumer. Traditional brokerages like Coldwell Banker, Berkshire Hathaway (formerly Prudential), Harry Norman & Atlanta Fine Homes spend hundreds of thousands of dollars on image branding for the company. There IS a lot of advertising being pumped into the market. But if you pay close attention, it is company-centric rather than focused on highlighting the individual property. Advertising is provided to the agents but it has to confirm to corporate standards. The broker info is large – the property info is small. These companies are using listed properties to try and prove market share so they can attract more agents. Keller Williams Realty runs under an agent-centric model and that is definitely different. The company takes less money from the agents so the agents are able to re-direct their advertising dollars towards the clients. The result is more individualized advertising that is “property-centric” versus “broker-centric”. We believe that is better for the client. After 22 years on the inside, I know numbers can always be cooked to favor the company doing the advertising. What matters most to me is an individual agent’s batting average because that shows how many of their clients “win”. Meaning: of all the listings an agent takes, what percentage of those properties actually sell and how close was the agent on pricing? To me, that is the true reflection of effectiveness. It also shows when agents have a pattern of buying listings. On the issue of whether company brand actually improves a seller’s prospects of selling, I cannot find any evidence that is does in today’s environment. NO online search tools use broker name as a search criteria. Why? Because buyer’s don’t care about the color of the sign in the yard. In fact, the wealthier the buyer the more likely they are to be using online technology and an agent in their shopping. Can’t we save the commissions by selling it ourselves? That is a great question. The interesting reality more often than not is that this approachdiminishes the seller’s net instead of increasing it. It might surprise you to know that a studydone over the last 3 years determined that the average private seller will end up selling theirproperty for 14% less than one where professional representation and exposure occurred.What’s worse is the fact that statistically only 2-3% of all For Sale By Owners end up sellingthemselves while 97% end up being listed and sold by real estate agents. I hear that another agent is really well connected. Connections pay off in many ways but they will not overcome poor pricing and condition. Thebest way to motivate the buyer pool is to create spectacular marketing, price your house fairlyand mobilize the entire agent community. Believe us, Buyers “jump” when they feel likesomeone else is going to take something they want. Can we list it higher and come down later if it doesn’t sell? It is very common to want to leave room for negotiating. The problem is that the penalty forshooting too high with the price is severe because most buyers won’t even bother looking atproperties that are priced out of the market. So, the real question is how much can you pushit without getting burned? Current data shows the best houses sell for 97% of List price withinthe first 30 days. Multiple offers are becoming commonplace and a certain percentage oflisting properties are selling over Original List Price. We are successfully creating “sellermarkets” around our listings and we can do that for you too. With such a big decision this is very common because it involves a huge asset of yours. Yet, itis a decision that must be made based upon what you want. One option is that you sign thelisting agreement when we meet “contingent on your final go ahead” within 24 hours. You thenwill have 24 hours to feel comfortable and sleep on it. In the meantime, we will contact ourstager and pencil you in for the first available timeslot. That way we can hit the groundrunning! Then when you call, you simply tell us yes or no. If you say no, we will shred thelisting agreement and cancel the stager. You have no further obligation. When you “say yes”,we confirm the staging appointment, plan out the preparation stages and begin drafting themarketing collaterals. Is it better to use a friend in the business? In today’s market almost everyone knows one or two people that are in the business of realestate. The question to ask yourself is are you selling the house to do a favor to your friend orare you truly looking for an aggressive team that will net you top dollar for your home? Manyagents transitioned into other part-time jobs over the past 5 years to help make ends meet.We have remained 100% focused on real estate. Please take the time to review our plan ofaction to sell your home and you will immediately see what separates us from most agents. Another agent said that they can get me more money, why should I use you? It’s very interesting that agents are not more cautious with that advice in today’s market. Whatmost people don’t understand is this; an agent that will list your property overpriced assumesthat they can take your listing now and then start beating you up on the price week after weekafter week after week. Worst case they can pick up some buyer leads so that they can makemoney even if your house does not sell. The statistics show that if the Original List Price does not work and the price has to bereduced, sellers in those instances were penalized and extra 16.6% off the Original List pricewhen the sale closed and they were on the market almost 6 months longer. If an agent is notstrong enough to level with you on pricing, how effective will they be defending your equity?Our team prides itself on being truthful and straightforward with you as the client no matterhow uncomfortable it may be. That is what we feel you deserve. What do you do to sell homes? There are two types of agents in real estate today: Passive and Active. We are active,meaning, when you sign the contract our entire team is going to work immediately in activatingour proven marketing plan. This will be directed at our individual buyers, past clients, as wellas the other active agents in your area. We have found that a motivated homeowner wantssomeone who will work actively and aggressively to get their home sold. No. Frankly, it makes us nervous if another agent will agree to this. If an agent isn’t strongenough to defend and articulate their own worth and value, how strong can they possibly bedefending you and the value of your home during future negotiations. Do you really wantsomeone who is going to use your equity as a negotiating tool in the same way that they dotheir own?